Our objective is to provide free advice and support to existing and new bladder cancer patients, their carers and their partners. We achieve this by offering experience-based information, support and help in an informal social setting where members can converse at regular meetings. We offer a 'befriending' service for newly diagnosed patients who are awaiting or undergoing treatment. 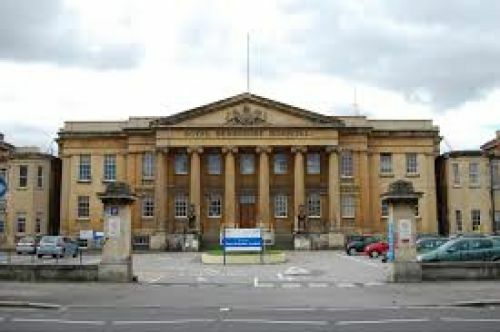 We support the work of the Royal Berkshire Hospital urology department. We work closely with our Royal Berkshire Hospital clinical nurse specialist who attends many of our meetings. Many of our members first attend a meeting after diagnosis but before treatment. They find that hearing about the experiences of other members can very helpful at this confusing and worrying time. The information that we can give is based on the experiences and treatments of members but we always recommend that patients see a consultant for advice on treatment specific to them. We warmly welcome new patients and their partners. Membership is FREE. At our monthly group meetings we invite a variety of speakers including bladder cancer specialists and nursing staff from the Royal Berkshire Hospital. The Reading Bladder Cancer Support Group was founded in October 2012. The group has around 60 male and female members including carers and partners. We became a registered charity number 1176470 in January 2018. DISCLAIMER: This website does not offer medical advice. Nothing contained on this website is intended to constitute professional advice for medical diagnosis or treatment or to advocate or recommend the purchase of any product or use of any service or guarantee the credentials or appropriateness of any health care provider. Visitors to this website including members of Reading Bladder Cancer Support Group are strongly advised to consult with an appropriate professional for specific advice tailored to their situation. Copyright © 2014 - 2019 Reading Bladder Cancer Support Group. All rights reserved.